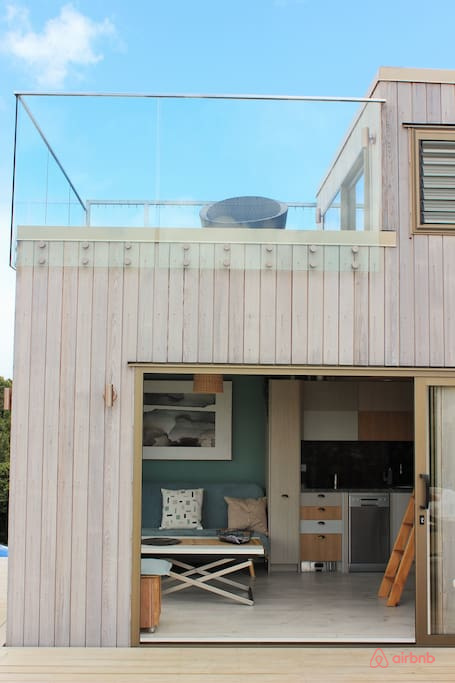 This gorgeous beach house is available for rent if you're curious to try out tiny living for yourself. 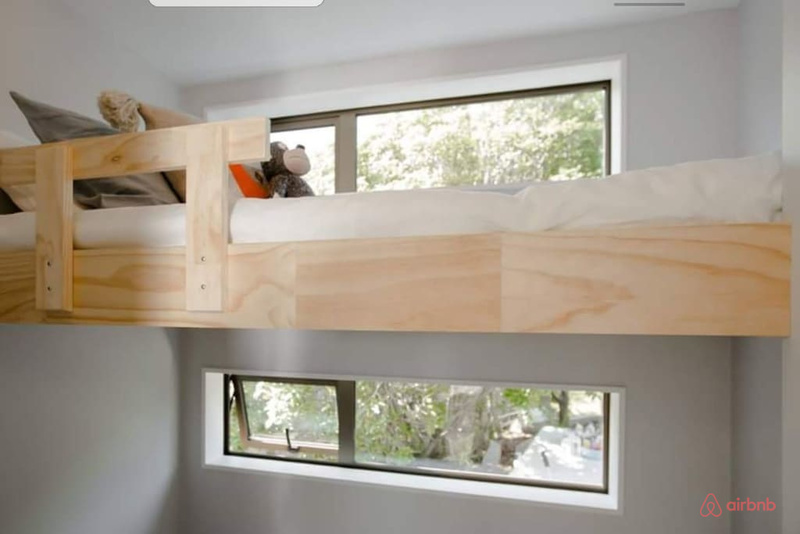 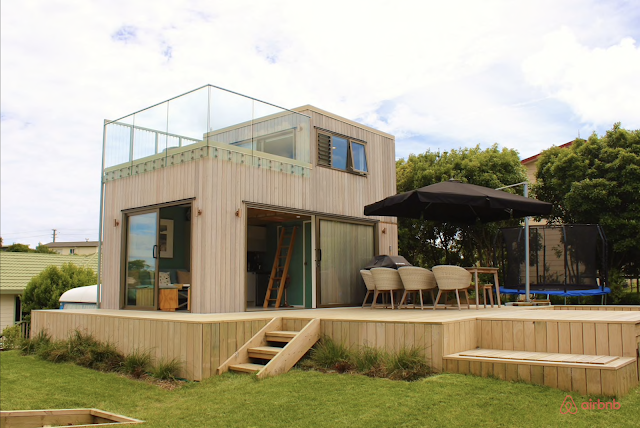 The 35 square-meter home (377 sq ft) is located in the scenic town of Raglan, located 2.5 hours south of Auckland. Its main level features an open layout with living and dining space, and a kitchen. 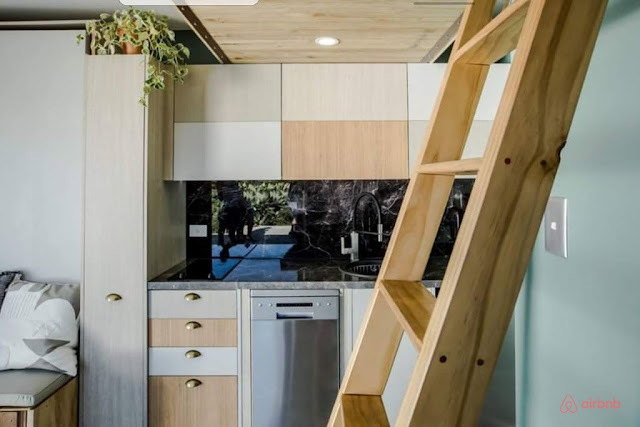 The kitchen comes equipped with a fridge, stovetop, dishwasher, and microwave. 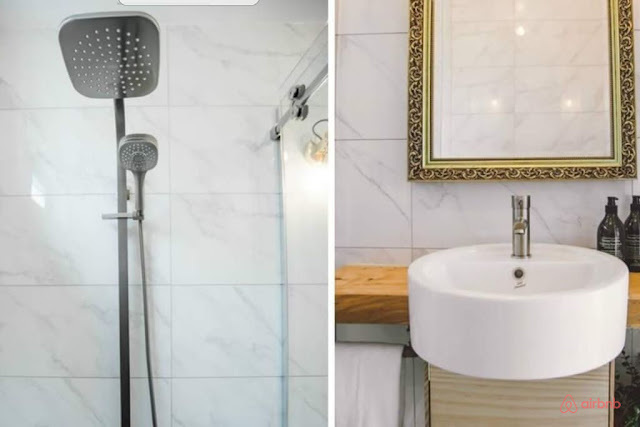 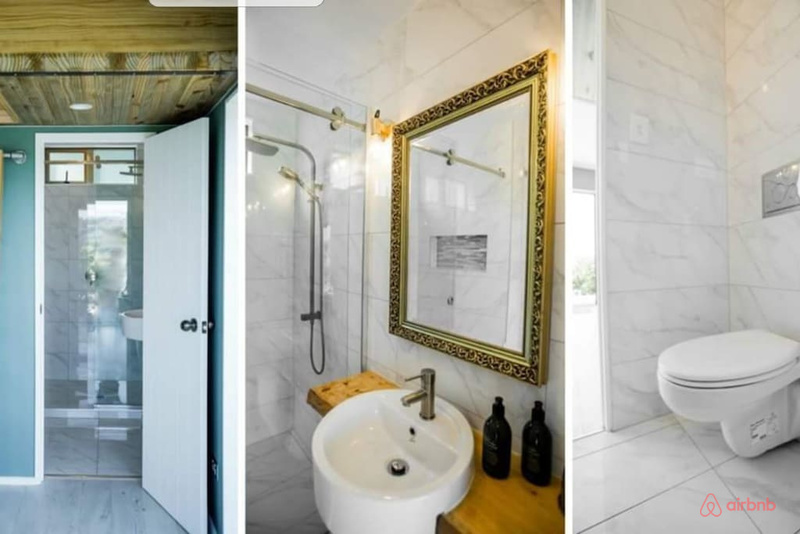 A beautifully tiled bathroom is also available with a toilet, large shower, and sink. 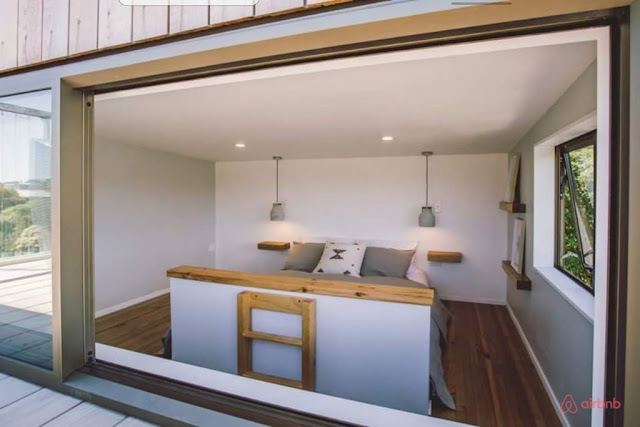 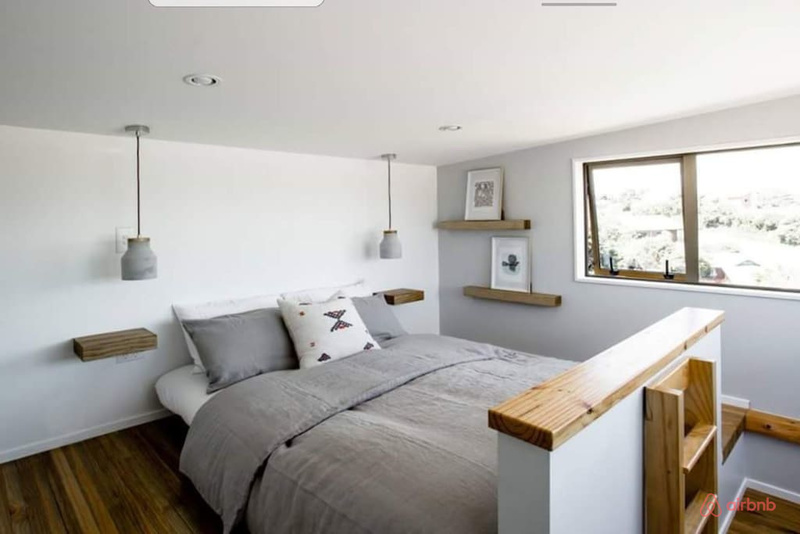 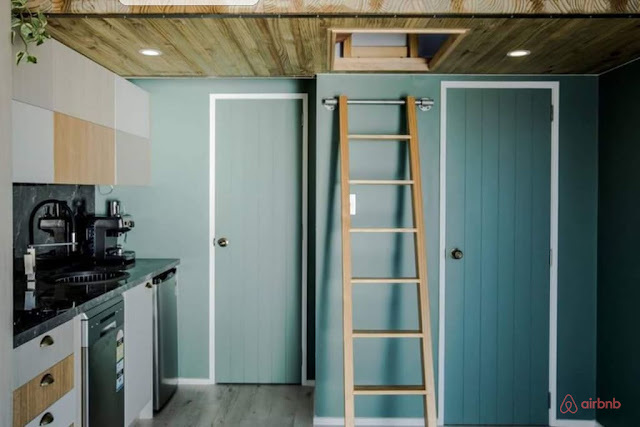 The beach house can comfortably sleep up to three people between a double-bed in the master loft bedroom and a single bed in the second, smaller loft. 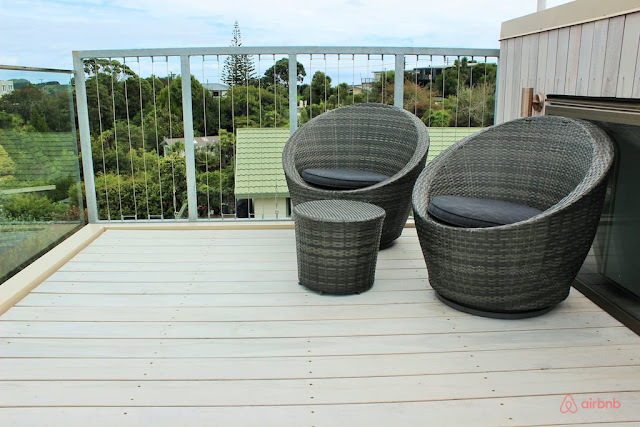 Outdoor amenities are also provided with a deck, BBQ, and fire pit! 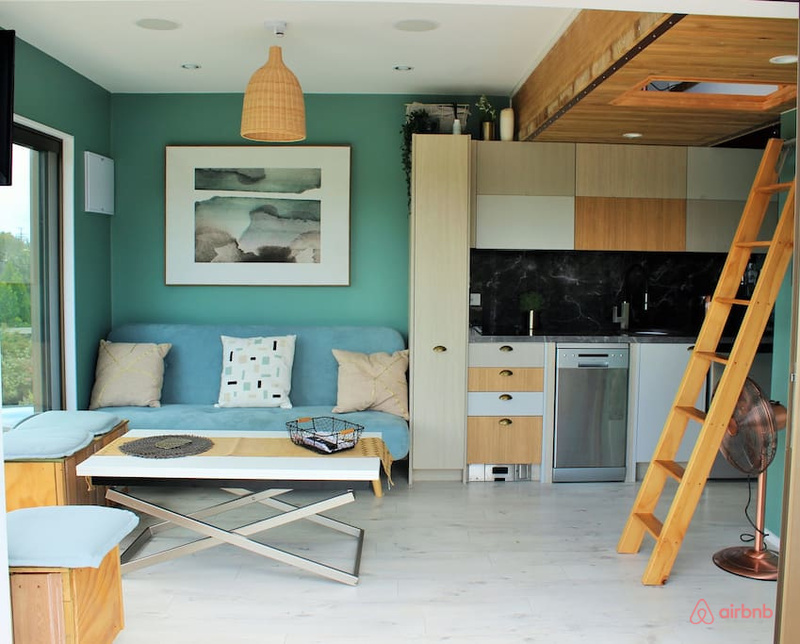 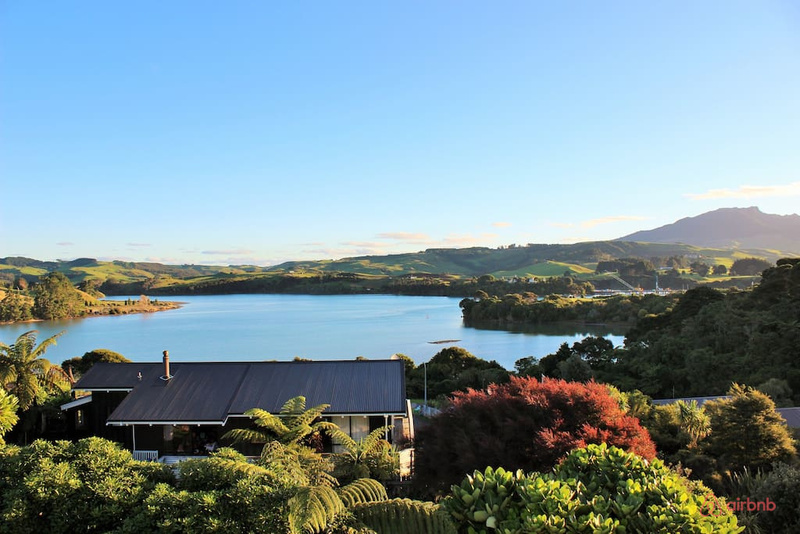 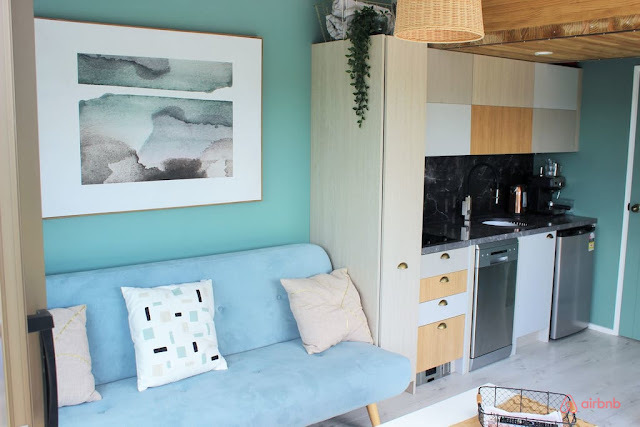 The Raglan beach house is currently available for bookings on Airbnb here.